I understand. I am graduating next week. I find that I am not as frazzled though like most of my friends who are entering the real world because I am going to Grad School. Your post was cute! 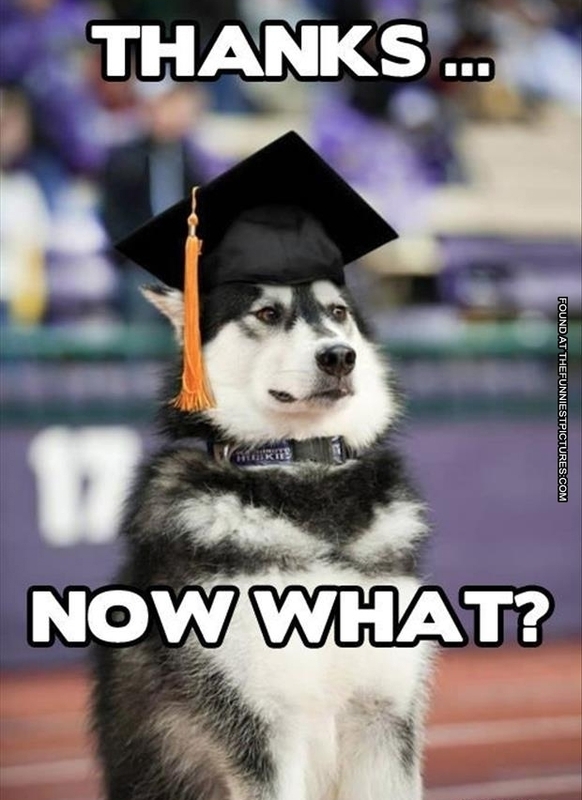 I don’t think that graduating college should be attached to a sense of self worth per se, but it IS such a huge accomplishment… all that hard work and scrambling pays off in many ways, not just in whether you get a job or not. And don’t assume you’ll be stuck in a cubicle with some Murphy Brown shoulder pads! What a horrible thought! Most of the time I love myself for hitting the snooze button four times before I actually get out of bed. A lot of the time I forget that life isn’t about getting a degree, then a job, and then retiring. Posts like this always make me recalibrate a little and think about pursuing things that I want to do that stray off the path a little bit (like being a ski bum). I really love this. I’m going to come back and read it when I graduate because I’m sure I’ll need it. I am so ready to move on with my life. I’m not ready to grow up either, but who says I ever have to. College has been murdering me these last few semesters, and the relief of having a simple 9-5 job that I don’t have to take home with me into the wee hours of the night will be nice. Hopefully I can get that teaching position I’m aiming for! Good Luck with your searches! At times, I either want to jump for joy or go hide in a closet. It’s kind of weird to think that my life won’t be filled with homework. Well, for a year at least (Hooray for gap years!). I think the scariest thing about graduating is not being able to find a job. It’s almost like you need five years of experience in an actual field before you can even get into an entry-level position. I’m not about to detail my most recent shenanigans, but I think your point is well taken. Shenanigans are a must. If we’re not taking the time to have spontaneous fun, we’re not really living.